I had the opportunity to participate in a housing conditions survey in Radford this past weekend. Over the course of a Saturday, my partner and I surveyed over 800 houses, ranking their physical condition on a five-point scale (with 1 being the best condition and 5 being the worst). Our method was somewhat simple in that we were completing only a “windshield” survey- we would drive down residential streets, stopping at each house to rank its condition and make notes where needed. Our survey area stretched from West Main Street to 10th street, and, after nine hours in a car, we had surveyed essentially every house in this 0.7 mi.2 area. Previously, housing was not something I paid too much attention to. I knew the basics from my coursework, but lacked any deeper knowledge on the topic. I have always heard that housing was important for economic development, but had never investigated this claim. 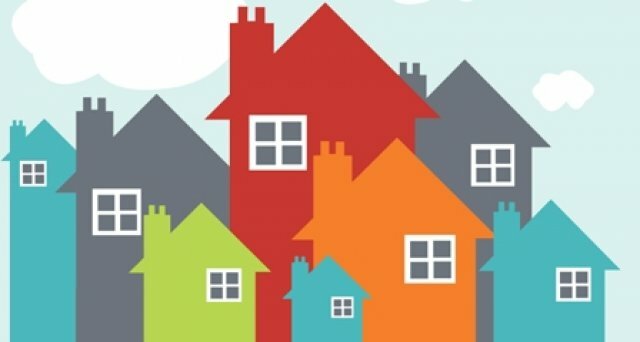 After participating in this survey, however, it is apparent that housing is the foundation of a community and crucial for continued prosperity and economic sustainability- especially in Virginia. As we consider how to rebuild or stimulate faltering rural economies, we must also consider the state of the housing stock. For instance, there are many places in Southwest Virginia that have vacant industrial spaces, affordable housing, and a competent workforce. Despite the vast cultural and recreational amenities our region offers, many of towns and small cities in Southwest Virginia suffer from a declining local economy and sharp population loss. The result of this can be vacant or abandoned houses or a more dilapidated housing stock due to an individual’s inability to invest in their home. As we have seen in the rustbelt and other post-industrial communities, the loss of an economic base or sharp losses in employment can quickly lead to blight in a once proud and well-maintained neighborhood. Housing is also a concern in other parts of the state- specifically Northern Virginia, where housing is becoming increasingly more unaffordable with each passing year. While some might say Southwest Virginia struggles from no one wanting to live there, one could just as easily say that Northern Virginia struggles from too many people wanting to live there. For instance, Amazon’s future HQ2 in Arlington will yield tremendous economic activity for the state, however, it will almost certainly inflate housing prices in one of the most unaffordable places in the nation. While paying upwards of $800,000 (on the low-end) for a home in Potomac Yards might be doable for an Amazon executive, it is completely unrealistic for middle management and lower. While I do not claim to be a housing expert of any sort, I now have some understanding of the important role housing plays in attracting local investment, regardless economic decline or prosperity. Simply put, there must be a balance between high quality workforce housing and higher-dollar housing options for those who can afford them. Additionally, more communities should invest in housing surveys similar to the one we completed in Radford to understand the condition of their housing stock, especially at the lower-end.